Open auditions are held each year in the late winter or early spring. Dates and requirements are announced on this page, on our social media pages, and in our e-mail newsletter. A press release announcing auditions is sent to the media. During auditions, callbacks, and rehearsals, all those present must abide by ASGT’s official Audition Policy (see below) and by Board of Education policies (if at a public school) or the policies of the host. This includes a prohibition against smoking anywhere on public school grounds. Thank you in your interest in auditioning with ASGT! • Dress comfortably! Even if you don’t decide to dress for the theme make sure you are wearing something you can move in. • Bring water (and a towel) and plan to sweat because we’re gonna get physical! • Leave the character shoes/anything that will scuff the nice marley floors at home! • Remember you don’t have to dress for the theme, but you totally should because Pauline may have a prize for best getup. This is a fabulous opportunity to get in dancing shape for ASGT’s audition season. 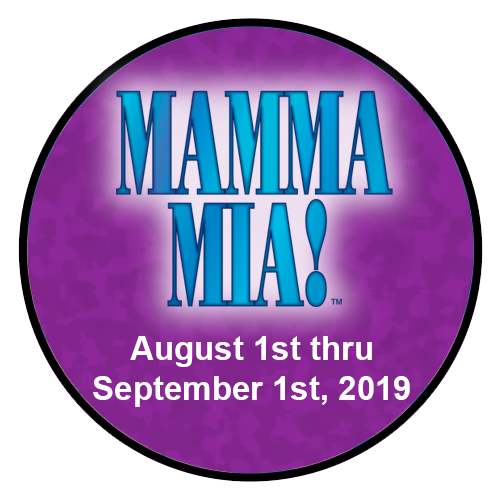 Even if you don’t plan on auditioning for Mamma Mia feel free to join us! Members of the board will be present and available for questions regarding the upcoming auditions. Looking forward to seeing you there in your 70s wear! It’s time to put your taps to the floor and show us that “You’ve Got Rhythm”!! 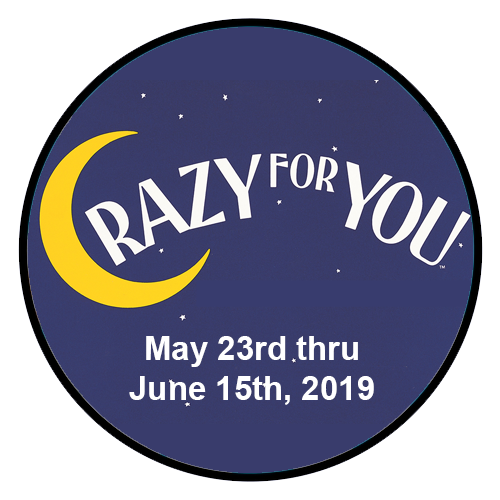 In keeping with tradition and drumming up excitement, a choreography workshop will be held in anticipation of Annapolis Summer Garden Theater’s production of Crazy For You!! This workshop, held by master tapper/choreographer Andrew Gordon, will familiarize you with the style and choreography of the show as well as with the expectations of the choreographer. And it’s FREE!! Please bring appropriate dance attire, tap shoes and jazz shoes. Bring a water bottle to stay hydrated, And an attitude to learn and have a great tapping day! So dust off those tap shoes Louise and Tommy, and come on down for an exciting day of syncopated rhythm!! Visit summergarden.com to review the Audition Policy, to explore the character breakdowns, and any vocal/physical requirements. Email production@summergarden.com with any questions. ASGT is a nonprofit community theatre. Acting roles are unpaid. Connect with ASGT on Facebook or Twitter (@ASGTAnnapolis) for the latest news and information. Update: Due to inclement weather, Crazy For You auditions for Wednesday, February 20th have been canceled. Plan to join us on Sat. Feb. 23 at AACC 10:00 AM (auditions are still scheduled as previously published). Second auditions will now be held Monday, February 25th at 7:30 pm (AACC in CADE124). Callbacks will now be held Saturday, March 2nd at 10 am (AACC). 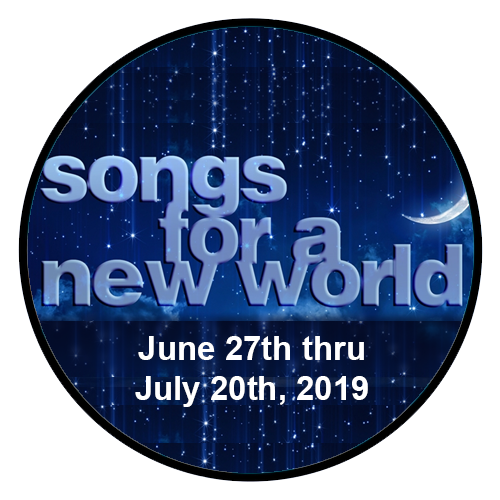 Performance Dates – May 23rd thru June 15th, 2019. Callbacks will be held March 2nd, 10 am. Please familiarize yourself with the following for callbacks. There will be a dance callback. Please come early enough to get any pertinent paper work completed. 15-30 minutes recommended. Please bring an updated picture and resume. Please prepare two vocal selections in the style of the show, that best show your vocal range and ability, one upbeat and one ballad, 16-32 measures. An accompanist will be provided. No acapella or pre recorded music will be allowed. All auditioners should be prepared to dance a tap combination and possible jazz routine. All dancers should be warmed up and ready to dance at the first call time on each audition date. Please wear clothes appropriate for dance. Tap shoes and jazz shoes please. Please be prepared to stay for the entire audition time. Rehearsals will begin mid March. Rehearsal days will be held on Sunday afternoons, and two weekday evenings TBD, determined by cast availability. Please bring a list of conflicts from mid March through June 15th. Conflicts should be minimal, and it would be appreciated that all cast members work to get all conflicts down to zero. Be prepared to show us the BEST YOU. Have Fun! Polly Baker – early 20’s Deadrock, Nevada’s postmistress, spunky as a Joshua tree. She’s in love with Bela Zangler – or thinks she is. Everett Baker – 40 – 50 Polly’s father. Owner of the Gaiety Theater, he loves his daughter and likes to reminisce about his deceased wife, the former star of the theatre. Mother (Mrs. Lottie Child), 40 – 50’s She’s a wealthy, domineering woman, and she wants her son Bobby to become a banker. She competes with Irene for control over him. Perkins – 30 – 50 Mrs. Child’s business assistant Chauffer, 30 – 40’s Drives the limousine for Mrs. Child. Patsy – Squeaky-voiced show girl, not the sharpest knife in the basket. 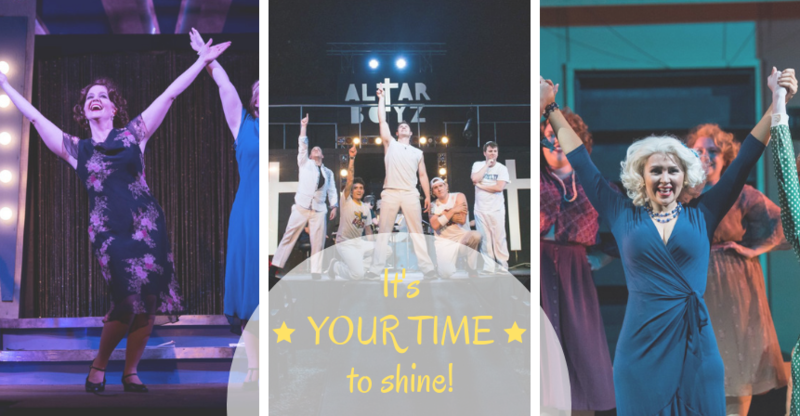 Don’t miss your chance to SHINE in this magical moment of musical theatre – and all while under the stars of downtown Annapolis! For directions and a map of the Arnold Campus at Anne Arundel Community College, please click here. Rehearsals: Rehearsals are expected to begin end of April 2019. Technical Rehearsals: Technical Rehearsals are scheduled for Friday, June 21st through Wednesday, June 26th from 7pm to unknown. 16-32 bars of a song from a contemporary musical (1990 – present). Accompaniment will be provided. No acapella singing will be permitted. Auditionees are to bring their own sheet music for the accompanist. Please note that all roles are open and unpaid. We are looking for a diverse case of 4-8 exceptional singers with strong acting ability. Though standard casting is 4 people, we will consider casting up to 8. Typically, the show caters to strong female belters and high male tenors. We are open to alternative voice types and encourage everyone to audition. Mamma Mia! Is still looking for a few good men to complete their cast for this summer’s production. Auditionees should bring a headshot and a resume. Sign-in will be available 30 minutes prior to auditions, which will begin promptly at the posted times. Auditionees are asked to provide a schedule of conflicts between March 15 and September 1, 2019. Auditionees are to come prepared with 2 vocal selections: 1 16-bar cut of a slow-medium tempo, 1 32-bar cut of an up-tempo song, in the style of Mamma Mia!. Please choose something that a) showcases your range and b) explores the emotional depths of the character. Please be prepared to vocalize with our Music Director (for just a few minutes) for assessment of 1) range 2) tone placement 3) versatility. Those auditioning must be prepared to participate in a dance call. Please wear comfortable clothes and shoes – no character shoes/shoes that will scuff the floor. Also, bring your water bottles! Please note that roles are open and unpaid. We encourage performers of all ages and ethnicities to audition. We are looking to cast a company of actors who can believably portray their character. Chorus Consists of the Islanders, who work at Donna’s, Wedding-Guests. Rehearsals: Occasional rehearsals are expected to begin March or April 2019, with routine rehearsals beginning in May. Technical Rehearsals: Technical Rehearsals are scheduled for Friday, July 25th through Wednesday, July 31st from 7pm to unknown. Performance Dates: The show runs August 1-September 1 with performances on Thursdays, Fridays, Saturdays, and Sundays at 8:30 pm. Thanks for your interest in performing at ASGT! During auditions, call backs, and rehearsals, all those present must also abide by Board of Education policies (if at a public school) or the policies of the host. This includes a prohibition against smoking anywhere on public school grounds. There shall be no pre-casting of actors. All potential cast members must audition. A minimum of two audition dates will be scheduled for each show. In exceptional circumstances only, if an actor has a valid conflict with scheduled auditions the Director may accept a recorded audition or conduct an initial audition at the beginning of call backs. All auditions are made public and open to all who wish to participate. Auditions are announced on ASGT’s website, social media, and in our e-mail newsletter. A press release announcing auditions is sent to the media. Actors of all shapes, sizes, ethnicities, and experience levels are encouraged to audition. Auditions are open to anyone 18 years or older, which is defined as anyone who will reach the age of 18 by opening night of the production for which they’re auditioning. Individuals who will not reach the age of 18 by opening night of the production may not audition. Age restrictions may be waived for particular roles depending on the needs of each show. Any such waiver of age restrictions will be published in the official audition notice. It is ASGT policy to cast “age appropriate” actors in all roles when possible. ASGT does not accept audition forms, resumés, or headshots prior to the scheduled auditions. Auditions are open or closed at the discretion of the Director and Board Production Director. Only those invited may come to call backs. No one may observe call backs without prior permission. The Director, Music Director, and Choreographer for a production may not audition for, be cast in, or appear in that production except under special circumstances and with approval of the Board. Also, no one auditioning may sit at the casting table. The following people must be present for the duration of auditions and call backs: Director, Music Director, Choreographer, Stage Manager, and two members of the Board. The Director should be efficient in the use of the auditionees’ time and respectful of their efforts. The Director has final say on all casting decisions. ASGT leadership will provide input only if the Director asks for their input and/or if prior personnel issues (quitting a show, being fired, failure to show for rehearsals, etc.) are unknown to the Director and might affect casting decisions. Individuals are expected to come to auditions and call backs dressed appropriately and professionally, with proper footwear for dancing/movement and legible music that is marked for the accompanist. They should bring a current headshot or a photo will be taken for them, and may bring a resumé (optional). No one will be notified of casting deliberations or decisions during the public audition/call back process. All who audition will be thanked by phone or e-mail for their participation by the designated production staffer. Individuals in consideration for a role but not ultimately cast will not be notified until those who were cast have accepted the roles offered. Additional auditions (outside of the initial two nights and call backs), if necessary, will be publicly announced. Performers are encouraged to audition for more than one ASGT show per season. ASGT and the Directors will make every effort to accommodate conflicting rehearsal schedules, with the earlier show taking precedence over the later show. The use of illegal drugs or alcohol is never permitted during any ASGT audition or call back, or before/during any rehearsal or performance. Firearms/weapons are never permitted with the exception of Board-approved use for a production.